It has been a very successful endeavor involving youth from the four western provinces. The event is hosted each year by one of the four western provinces. The first WCC was held in 1985 in Saskatoon, Saskatchewan. This show consisted of 3 showmanship classes, 3 calf conformation classes, judging and pedigree competitions, best of three class and stall competition. 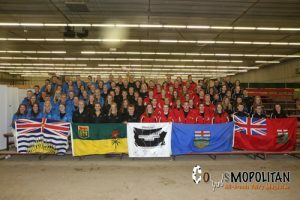 Over the years WCC has grown and now consists of 3 showmanship classes, 7 Conformation classes, judging and pedigree competitions, best of three class, stall competition, clipping competition, Premier Province Competition and dairy science quiz which involves general dairy anatomy and nutrition questions. A total of 100 young adults and youth between the ages of 12-21 take part in many activities. During these 5 days the youth also participate in fun activities planned for them in the evenings. The purpose of this competition is to provide on opportunity for our youth to improve their skills in leadership, teamwork, citizenship, and public speaking. During this event they have the opportunity to meet new people and to stimulate and maintain interest in the agriculture industry. This remarkable event provides an opportunity for Agri-Business to participate in the development of youth in the future of agriculture. 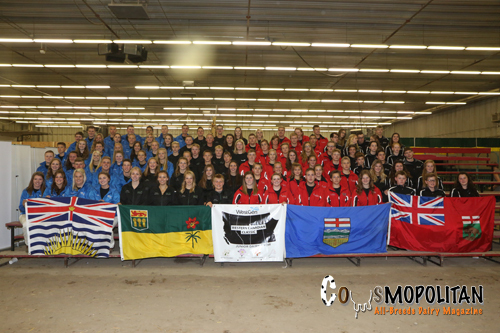 The Western Canadian Classic was started in 1985 by a group of volunteers from BC, AB, SK & MB. The first committee was comprised of Bruno Giacomazzi, Gordon Rendle, John Blair, Carol Wright, Dwayne Congdon, Don Chalack, Larry Brack, Dale Strudwick, Glenn Gurr and Desmond Donohoe. The committee designed a concept of hosting a competitive show dashed with social functions to promote friendly interaction between the participants for all four provinces. A set of objectives was established and these have been met over and over again each year. WCC is open to all current 4-H Club members, 12 – 17 years of age as of January 1 of the calendar year, who have a 4-H project. Youth 18 – 21 years of age must belong to a local breed club/association or a 4-H club. All breeds show together in respective classes with the colored breeds entering the ring first.